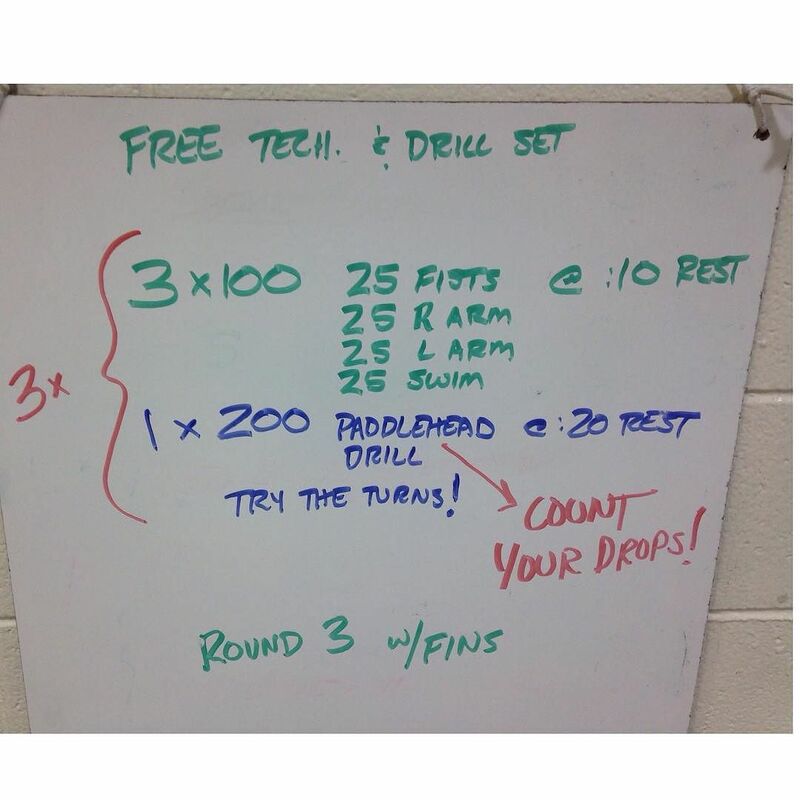 For paddlehead drill, athlete puts hand paddle in front of the crown of the head, pushing it along as he swims. The goal is to lose it as few times as possible on the 200. The better the breathing technique, the less it will fall off.